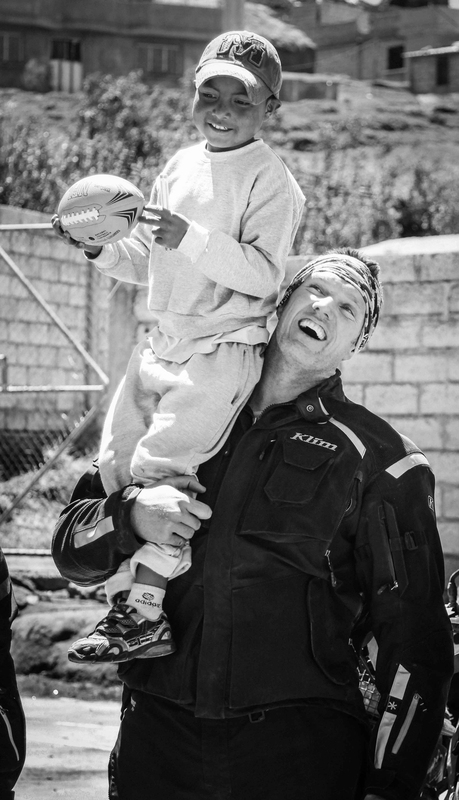 Once you get past the rough looks and hardened edges, you will find that motorcyclists are some of the most charitable people in the world. Bikers know that the world is full of danger and pain and that their helping hands are needed to make it a better place. Every year, millions of miles are ridden to benefit charities, to memorialize heroes and to collect toys for children. Combining motorcycle rides with a charitable purpose has a long history. Motorcyclists have a certain brotherhood, and with that spirit of fraternity, charity is a natural response. When we started Ecuador Freedom Bike Rental, we knew that we needed to provide a way for our customers to live out their desires to help their fellow man while enjoying the ride of their lives. From the very start, we encouraged our tour customers to bring along gifts for the children in small villages. Over time, the sharing and giving became one of the central aspects of our rides. The gifts gave us an opportunity to connect even more with the communities we rode through. Our stops soon became a true highlight of our motorcycle tours. Riders on our self-guided tours need to carry all of their clothing, riding gear, rain gear extra layers for the several different climates and altitudes they are riding through on their own bikes. That means the extra space in the saddlebags and panniers must be used as efficiently as possible. With the help of Pack for a Purpose, our riders only bring what is really desperately needed by the schools and communities we visit. With the help of Pack for a Purpose, we now have a dedicated web page listing the schools we visit and the supplies and projects we are working on. We now have a formal way to coordinate the giving efforts of our customers and work these into our guided and self-guided tour offerings on a consistent basis. The Facundo Vela school in Bolivar province is a great example – they told us that musical instruments were needed to teach their children the traditional songs of their village. 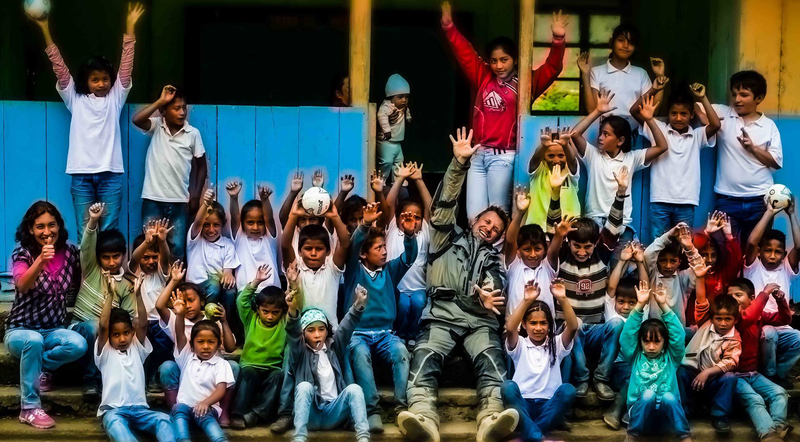 The call went out to our riders and shortly thereafter a teacher from San Francisco responded with enormous generosity, bringing an entire box of 50 high-quality musical recorders which he personally delivered to this small school, high in the remote Andes during his self-guided off-road motorcycle tour. He spent hours with the kids, teaching them how to play and provided the teacher with a curriculum to follow after his departure. Other schools that we visit regularly reported that they had no budget to buy soccer balls or sporting goods for their students. 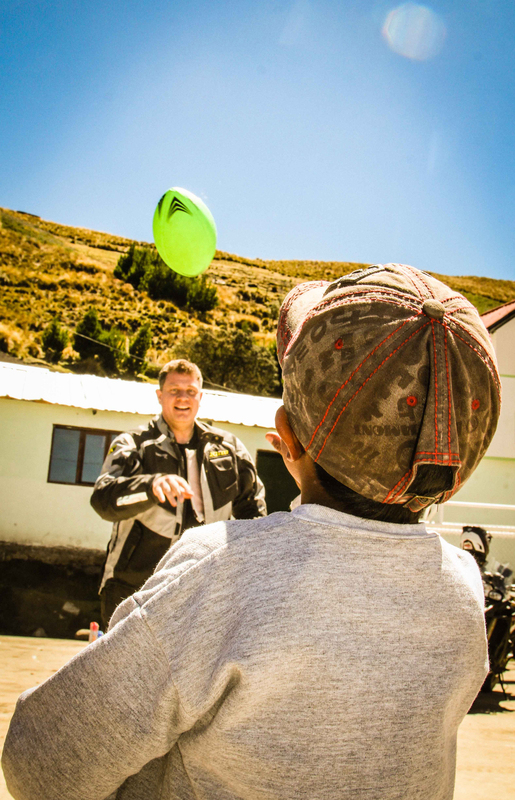 Our riders respond by bringing soccer balls, baseballs, volleyballs and American footballs. We have a blast teaching the kids to throw an American football for the first time in their lives. 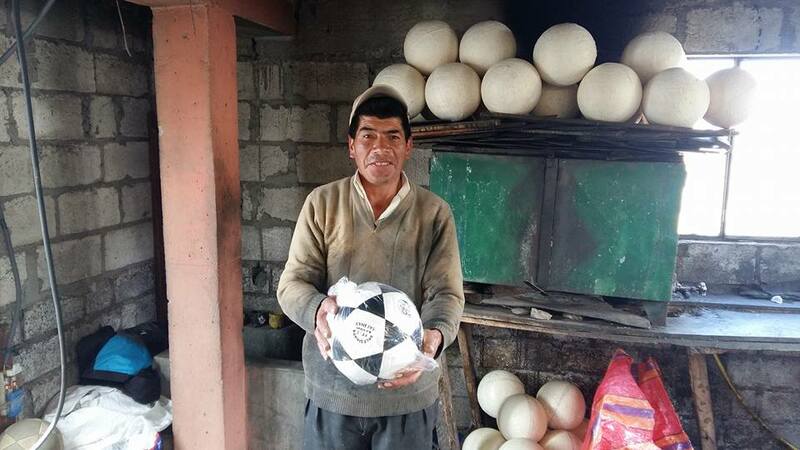 In the town of Salinas, a little village at 11,800 feet, is a small group of men who make soccer balls by hand. Their work is part of a cooperative effort to build their community and provide employment for the youth of their town. From them we often purchase a dozen soccer balls and distribute them to the isolated hamlets and villages in the Amazon and Andes. This ongoing contribution helps all of the communities involved. When a 7.8 magnitude earthquake struck the coast of Ecuador in April 2016, we again put the Pack for a Purpose program into high gear. 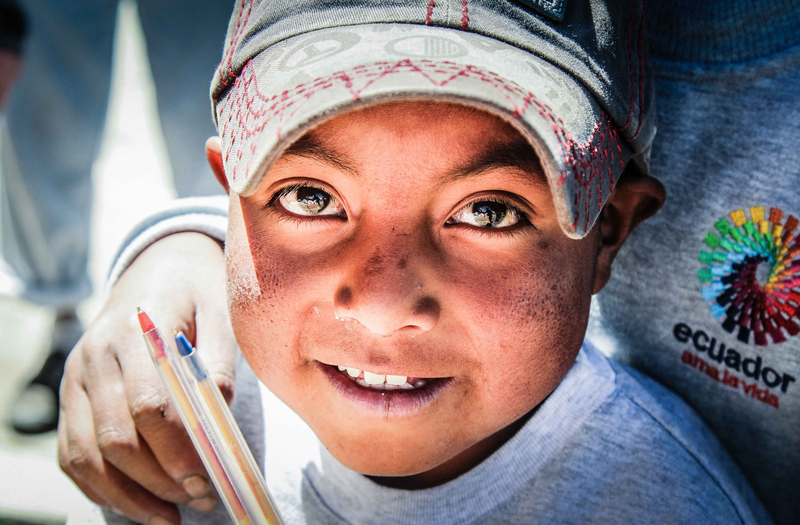 Our customers responded by contributing to the Sin Miedo project, which is designed to help kids who are traumatized by the initial quake, loss of life and subsequent aftershocks. With Pack for a Purpose, we were able to bring supplies to fill backpacks and build “bug out bags” which are designed to help the kids be prepared for an emergency, thus giving them a greater sense of security. Art supplies and crayons were also used to provide art therapy. We’ve also been thrilled to have the help of non-motorcyclists who have wanted to join in the program even when they can’t ride a motorcycle themselves. Several people have brought school supplies to our office in Quito, the capital of Ecuador. We are then able to distribute these donations via our customers who can carry them as they ride into the more rural and isolated parts of the country on motorbikes. It is a win-win for everyone involved. 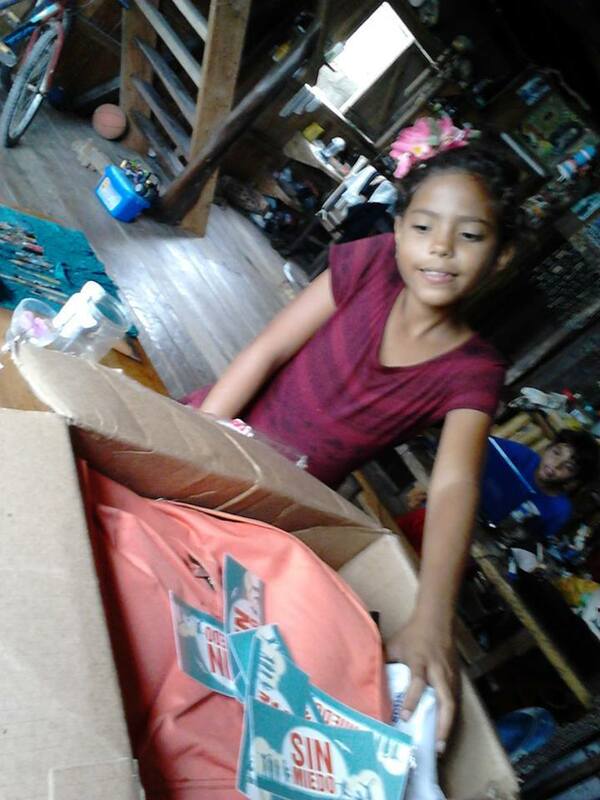 In all, we have delivered over 825 pounds of school supplies, art supplies, and sporting goods to schools in various remote isolated towns and villages around Ecuador. The project has improved the lives of the students and brought meaningful and lasting connections and emotions for our riders. We’re thrilled to be a part of the Pack for a Purpose family!